Please call 1-855-5CALROC (225762) if you’re looking for something similar. 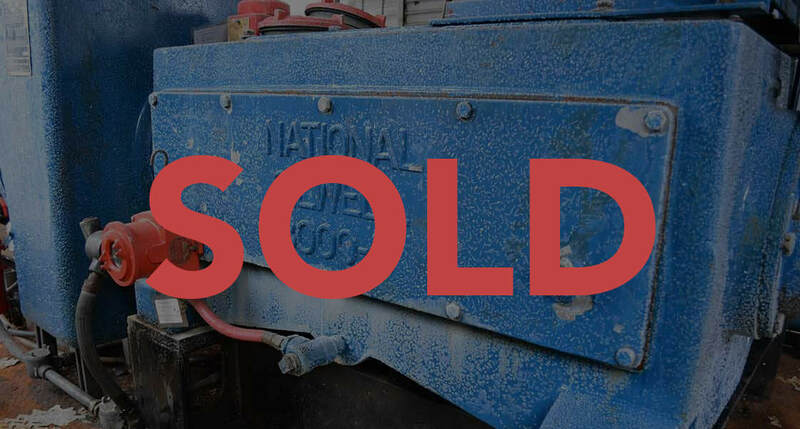 This National 300Q-5 Quintuplex Pump Cat 3406C TA Engine Package is in great working condition. A reliable National Pump and a field proven Cat Diesel Engine all housed in one building are ready for your application at a significant cost saving. The pump package can be viewed at our Edmonton yard. Please call 1-855-5CALROC (225762) or use our contacts page if you have any questions. A 300 horsepower 5” stroke horizontal quintuplex single acting plunger pump. Available in two fluid end materials at pump speeds up to 400 RPM and multiple accessory gear reduction unit ratios. Rated rod load is 10700 lbs. The outstanding performance of Caterpillar® engines is the result of fifty years experience in diesel power, plus a multi-million dollar research and development program. For the user this means continual improvement and refinement in engine performance. The diesel engines and attachments described here are offered by Caterpillar for use as prime power on mechanical drilling rigs. The typical package contains the attachments normally specified on engines powering mechanical rigs. These Cat® engines, when equipped with the user’s choice of torque converter or clutch, result in a unit that specifically meets the application requirements of the drilling contractor.